How often have you been hearing these kinds of phrases, lately? Firstly, if your business relies purely on Facebook, you’re in trouble. But, secondly, I guarantee most of those people have no idea what they’re talking about. So, get yourself a warm drink and let me tell you a story of technology, evolution and entitlement. Back in the days of dialup, “social media” – although it was yet to be named as such – was primarily focused on conversations. Think of the platforms kids used to use. Bebo, MSN messenger and online forums were all about identity creation and discussion. Businesses weren’t involved because, well, there wasn’t a place for them among our rants about SazzyGRL293’s obsession with the latest bands on MySpace. We were playing music on our IPods, txtn on ur flpfnes and waiting for our crush to log on so we could log on and off until we got their attention (I know that wasn’t just me). But influencers – again, not named such as yet – were quickly finding their voices on MySpace and Youtube. They were conversing with their newly-discovered fan bases and blogging (or vlogging) about their thoughts, feelings and lives. By the time Facebook came around, young people were very comfortable with talking and sharing pieces of themselves online. And conversations between friends was all there was to the platform. In 2007, brands could start creating their own pages that weren’t profiles. By 2009, people could “follow” brands. This worked really well to help people continue to build their online identities – if you liked a certain magazine, influencer or shoe company, it said something about you. The smarter businesses jumped on board straight away, but most businesses whose target markets weren’t college students, thought this social media malarky was just a flash-in-the-pan. But Facebook was growing at a crazy rate, and suddenly it wasn’t just college students spending time online. All of a sudden, brand pages started running competitions and promotions online, growing massive fan bases which were becoming more and more valuable. Facebook’s data on its users, their demographics, what they liked and didn’t, made it a super valuable tool for marketers who used the platform just to get their products and services in people’s faces. Holy heck, you guys. That is a lot of content. And people have become jaded. Marketers just keep pushing out the same content, and more and more businesses are shoving their products down people’s throats. Like with anything, people evolved to start ignoring all the “sponsored” posts and brand competitions. People actually slowed down using the platform altogether because they were sick of not seeing posts they thought were relevant or interesting. This is where the algorithms come in. Facebook relies on people using it – that means your experience as a person is important. And you only want to see quality posts that you’re interested in, right? While we’re here. Have you checked your Facebook Page is up to scratch? Download this free checklist to upgrade your page from meh to magnificent! There is now so much content being uploaded to Facebook, there’s just no way a person could see it all. So how does Facebook decide what we see on our Newsfeeds? The algorithm is, simply, a bunch of equations that predicts whether you will enjoy a certain post or not. 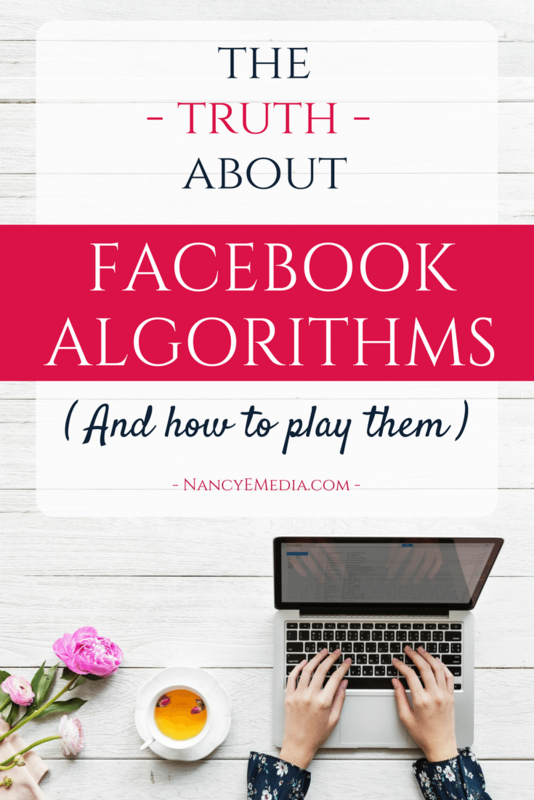 If we flip that round, the algorithm is the maths that determines if your post is worth sharing. 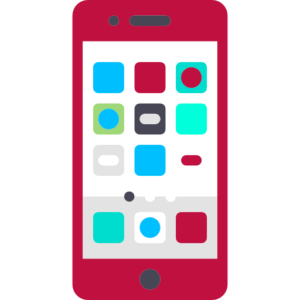 The algorithm’s job is to make sure you’re not getting spammed with crappy content. That’s it. It is to keep users happy. It’s not out to get you, or get businesses to pay for ads or anything like that because, without happy users continuing to use the platform, Facebook essentially has nothing. You can’t charge for ads that no one sees. Have you ever walked through a market, maybe while on vacation, and been hassled every two seconds by someone trying to sell you something? It’s not nice, is it. But that is, essentially, what most businesses are doing online. And those businesses are now complaining that no one is seeing their posts, their organic reach has dropped, Facebook just isn’t working for them anymore. What do I have to say to those businesses? You are not entitled to anyone’s attention. You do not deserve to be seen by thousands of people just because you posted a picture of your product online. It’s not enough to shout at people as they walk by, trying to mind their own business. People don’t tend to like that very much. So, how do you convince Facebook that your posts will make people happy? Maybe by posting stuff that will actually make people happy? 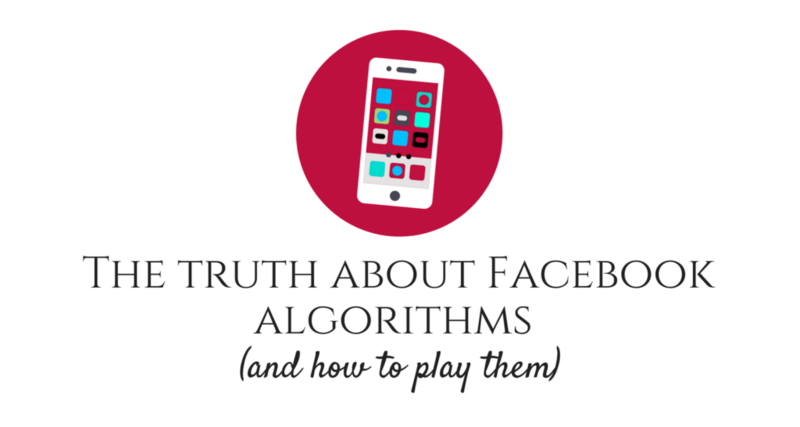 How does the algorithm decide? I’m going to let you into a little secret – no one knows 100% how any of these things work. They are complex mathematical equations, expensive software that’s been developed by the geniuses at Facebook (and Instagram, and Google etc) that they guard with their lives. They’re not going to give that away. But, they do like to update them all the time and tease us poor old marketers and business owners. For the latest update, read Zuckerberg’s post on Facebook’s goal for 2018 and beyond. To sum it up, Facebook users have told Facebook it’s sick of seeing content from brands, businesses and media. (Fair, we abused people’s attention). Facebook has responded by promising more meaningful conversations – posts from family, friends and groups. What does this mean? Are we doomed? No. And even if you are, you still need an active Facebook page for customers to reach you. Engagement has just become more important – not just engagement directly with posts, but engagement between people. So replies to comments – not just single comments – engagement on live videos and posts being shared through private messages are going to signal you have meaningful content. So what can I do to help my business? Step One: Make sure your Facebook page is up to scratch – download this free checklist to make sure you’re on the right track. Step Two: Create meaningful, engaging content. Need help? Read this! Step Three: Share your business’s posts on your profile and in private messages to friends, family and other businesses who may be keen – if you’re not proud enough or interested enough to share them on your own feed, why the heck would anyone else? Move back to step one if this is the case. Step Six: Try out some live videos – what’s the worst that could happen? Step Seven: Comment on your post and reply to comments with your personal profile as well as your business profile – try to spark conversation. Bonus: Do all your cover photos fit perfectly? Download this handy dandy cheatsheet to make sure you’re looking flash! Businesses have been abusing people’s newsfeeds for too long, and now, Facebook is simply phasing out bad content that people don’t enjoy. But there is a silver lining. You are more than a business – you are also a person, a Facebook user, and that gives you a unique insight. Sometimes, It takes no more than asking yourself if you would like to see a post on your newsfeed for you to realise a post isn’t worth posting. So tap into your own selfish view, pretend for a minute that you’re no longer a business but a consumer. What would consumer you do? And, sometimes, your strategy might not be Facebook reach and engagement. Maybe you just need an active business page to show you’re business is alive and kicking. Maybe your page simply serves as a notice board for your opening times and a way for customers to contact you. Maybe you just want to get email subscribers. Facebook isn’t the right platform for everyone – have you considered how else you can attract customers that would be a better way to spend your time? This entry was posted in Blog, Facebook and tagged algorithms, business page, facebook.